We will not have our regular Monday Open Studio Nights on December 24th and 31st due to holidays. We will resume in January with more great events. Open Studio Nights are Mondays from 6 to 8 pm, with scheduled demos, events, and activities starting around 6:30. 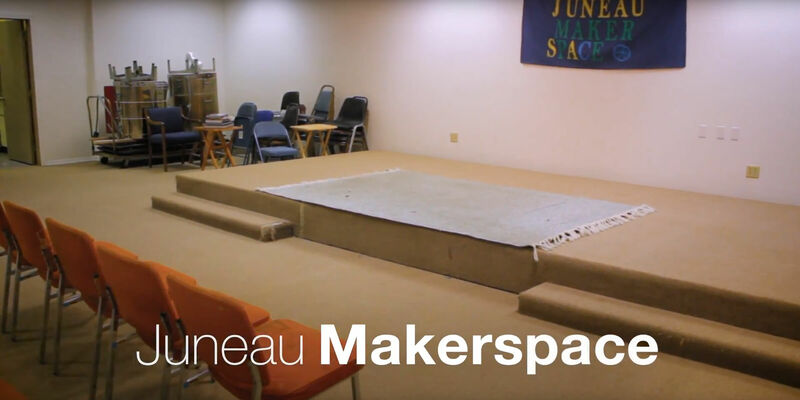 Join us for the Grand Re-Opening of Juneau Makerspace. Noon to 4 pm we will have fun projects and activities for the whole family. After that we’ll have a BBQ until 8 pm. Come see the Makerspace, meet local makers, learn new skills, and show us what makes you creative!